Self storage unit and door numbers and door numbers are produced in house with fast turnaround from Signquick. We have a couple different options available which include plaques and decals. 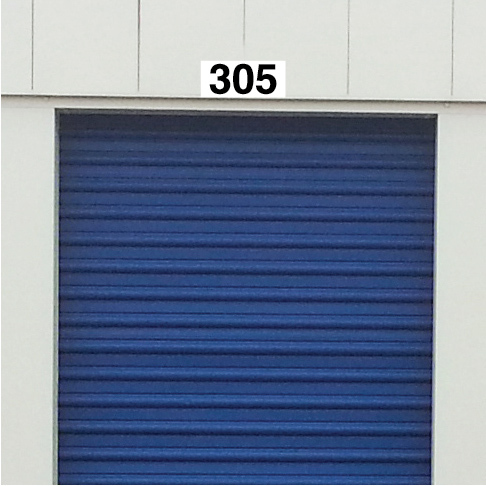 Self Storage Unit and Door Number Plaques are made of aluminumin composite material. Our standard size is 3" x 7" but other custom sizes are available. Standard colors include black, white, blue, red, yellow, and grey. We can provide any background color you desire. Our plaques are flatbed printed in house with weather resistant uv inks. After the plaques are printed, they go to our router which cuts them out electronically. This speeds up our production time drastically so we can offer turnaround times of usually 1 week after artwork approval. Not the typical 3 week lead time from other suppliers. Order your Self Storage Unit and Door Number Plaques Here. Self Storage Unit and Door Number Decals are made of long-life vinyl which is rated at 5-7 years. Long-life vinyl numbers can be used inside or outside. Unit numbers are pre-spaced for easy application. Please indicate color and starting number. If you do not see your color listed please call customer service at 281-474-1313. We have many more colors and can send you color sample at no charge. Production time for Self Storage Unit Numbers is usually a couple of days. Production time is usually one week after artwork as been approved. We offer rush production time for self storage unit and door number decals. 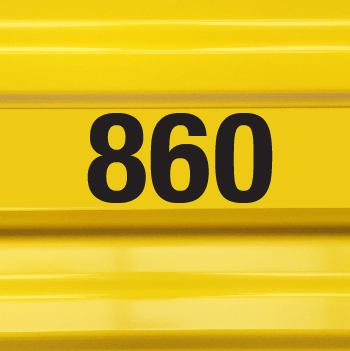 Order your Self Storage Unit and Door Number Decals Here.